About: Gr8nola was founded by former Olympic Trials swimmer and Silicon Valley techie-turned-food-entrepreneur. She came up with the idea for gr8nola by accident when she was searching for a delicious yet healthy snack during a cleanse she and her NFL hubby do every year post-Super Bowl. Stuck with few options, she created her own granola recipe featuring clean ingredients like organic virgin coconut oil and nutrient-dense superfoods. Her granola was such a hit that she created a side business out of it in 2013 and hustled her way into becoming "Silicon Valley's favorite granola", supplying gr8nola at biggest tech companies like Google, Twitter, Dropbox, Microsoft, Slack, Netflix and hundreds more. 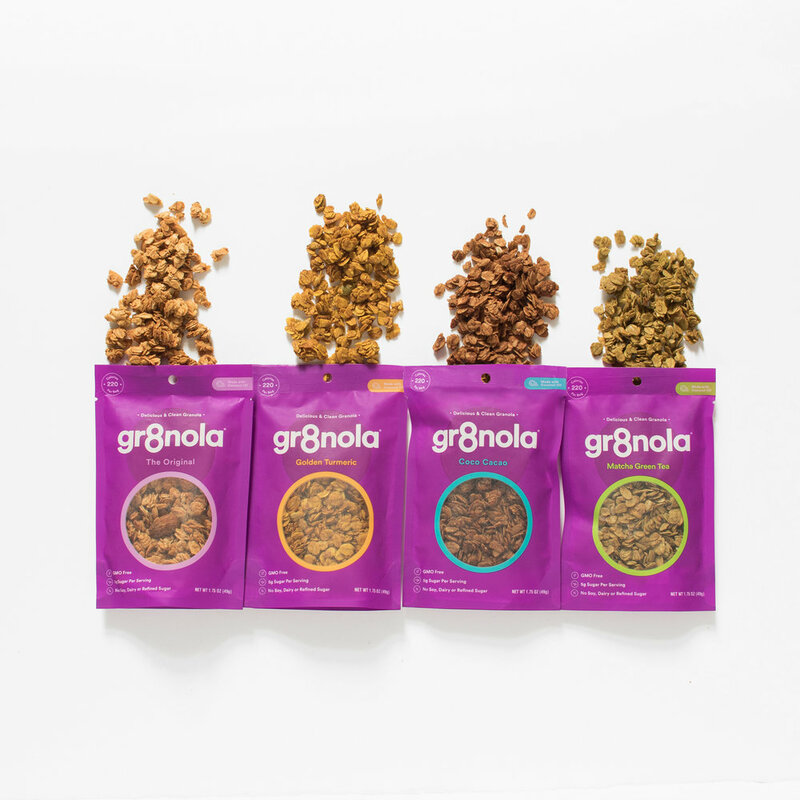 Gr8nola's flavors include The Original, Matcha Green Tea, Coco Cacao, Golden Turmeric.